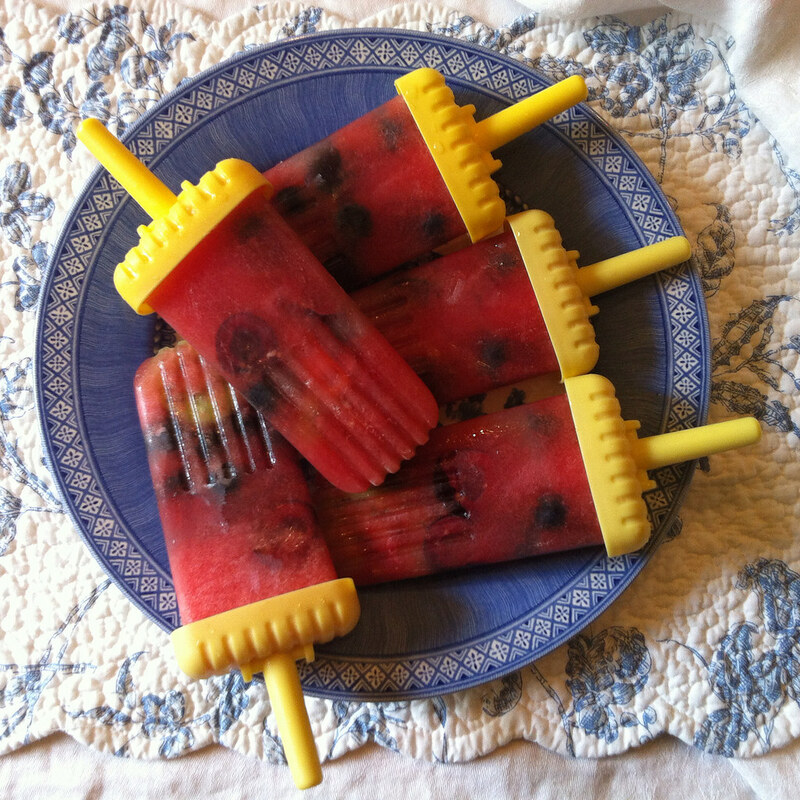 These are such a sweet treat for a hot summer day! My sister shared the recipe (thanks, Jan), and although I made a wild, sticky mess of my kitchen trying to get them to look like the pretty picture of the originals, they’re delicious, healthy, and fun. This is the perfect time of year to find deep red, juicy seedless watermelon and cherries as well as kiwi and blueberries. To make twelve Groovy Pops, I used one half of a large watermelon, two kiwi, about 20 cherries, and about 60 blueberries (all organic). The original recipe also called for peaches and strawberries, but I skipped these in my little adventure. The process is easy, but (note to self) put on your party dress after you make them. First, peel and slice the kiwi, rinse the blueberries, rinse and remove the pits from the cherries and cut each cherry into two pieces. Set these aside. 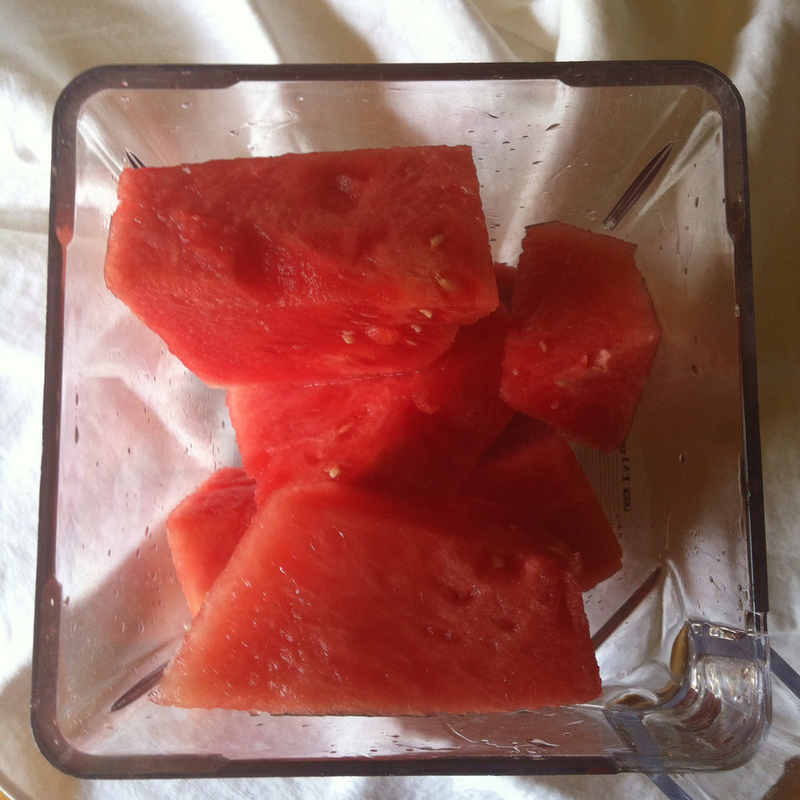 Slice the watermelon, discard the rind, add the red part to your blender, and puree by pulsing briefly. Blending it for too long will make it foamy. The watermelon turns to a sweet (sticky) red liquid pretty quickly, and you won’t need any additional sweetener for these. Now put it all together. 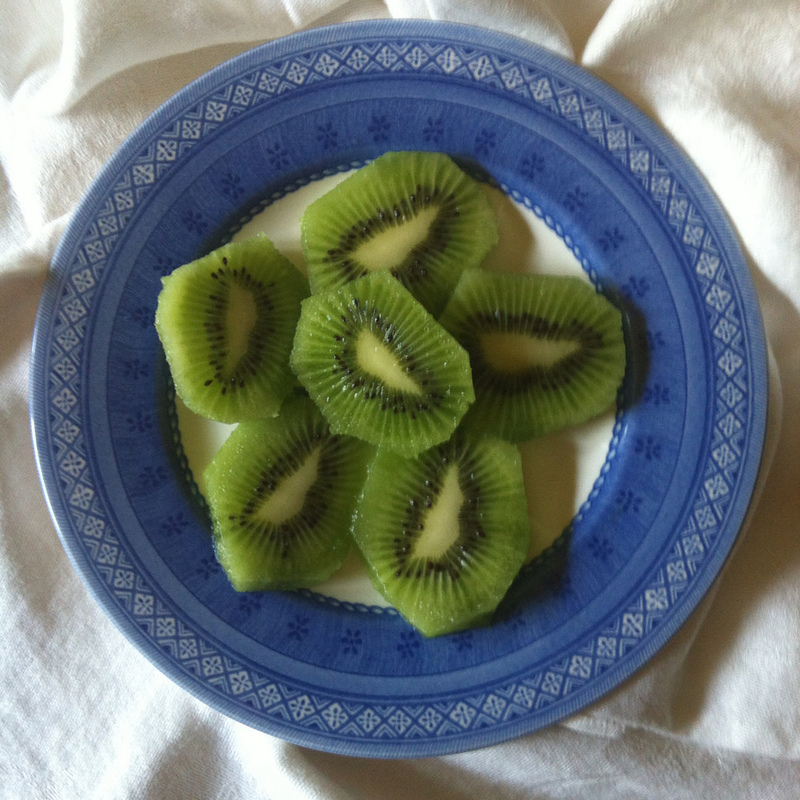 Carefully place one piece of sliced kiwi into each mold, facing the side of the mold. (I used Groovy Pop molds.) Add a few blueberries and a few cherry pieces, and then fill the remaining space in each mold with the watermelon juice. Put the Groovy Pop caps on and put them in the freezer. I let them freeze overnight. 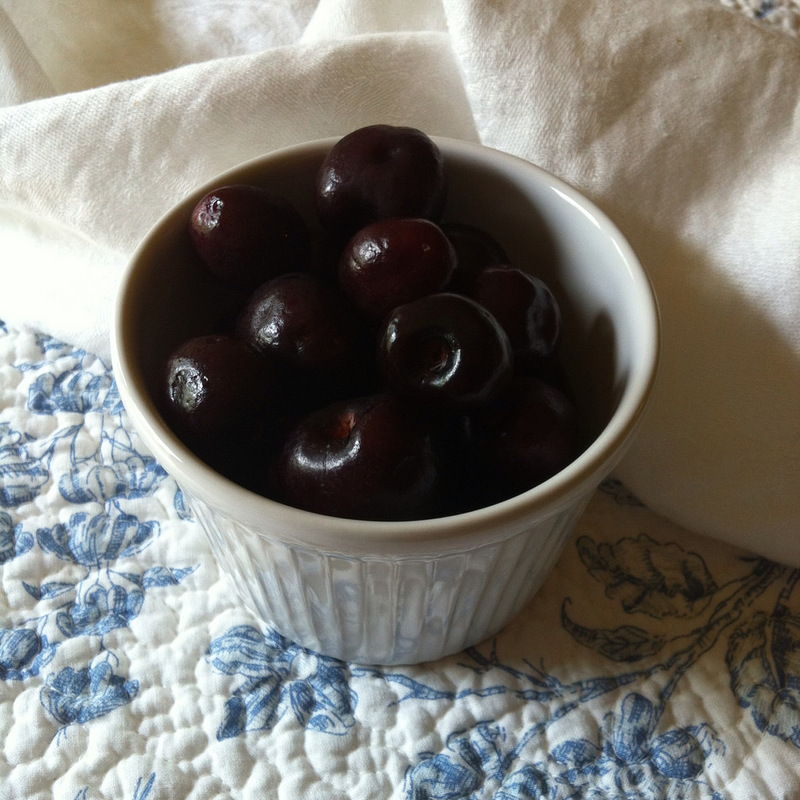 After you remove them from the freezer, run them under warm water briefly to loosen the molds and you’re good to go. 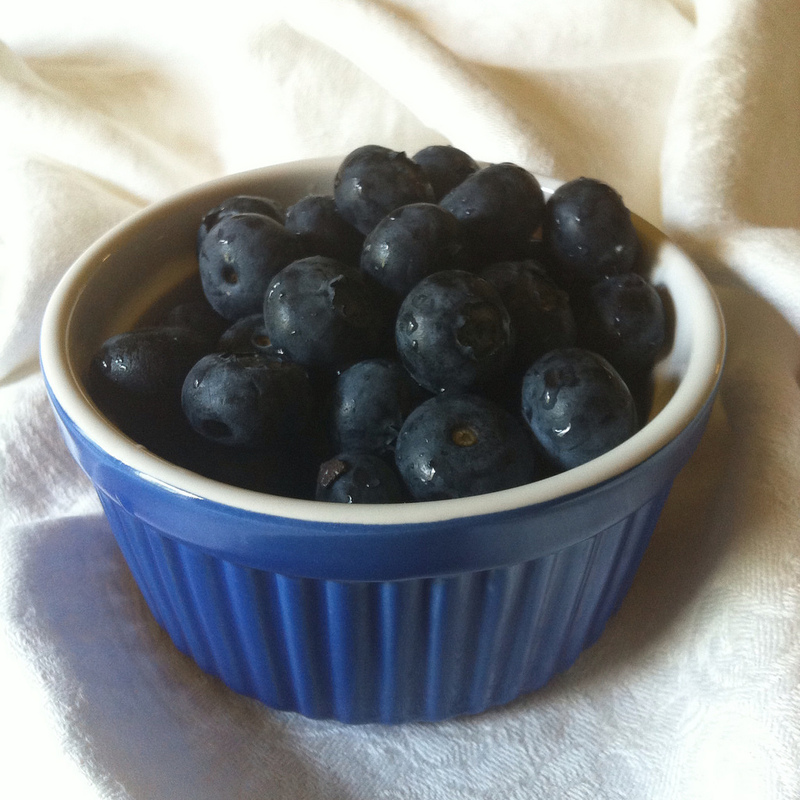 This entry was posted in Berries, Superfoods, vegan and tagged blueberries, cherries, desserts, fruit, Groovy Pops, kiwi, kiwi fruit, summertime, watermelon. Bookmark the permalink.